Do you know what it looks like to stay safe in the cloud – especially when it comes to using SaaS software and other solutions? 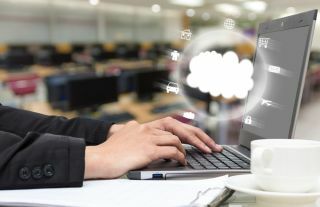 The rise of the cloud has, for the first time ever, allowed businesses to truly operate independent of location and geography, but it’s also created a new class of security concerns within many organisations. Do you know what it looks like to stay safe in the cloud – especially when it comes to using SaaS software and other solutions? The cloud market is growing faster than experts could have ever anticipated five or six years ago. Garter suggests that the worldwide public cloud services market will grow by 18 per cent in 2017 alone – putting it just shy of $247 billion. The SaaS niche will be one of the fastest growing, scaling by 20.1 per cent to $46.3 billion. And while security is a big focal point – a recent Cloud Security Market report suggests the security portion of the market will reach $9 billion by 2019 – most businesses aren’t doing enough to prioritise it within their own organisations. Every year, more than 40 per cent of businesses experience some sort of data breach and things don’t appear to be getting any better. While you can argue all you want over whether it’s public or private clouds that face greater security threats, the fact of the matter is that every business and individual is at risk. Now’s the time to step up your security and safeguard your data. Most businesses don’t invest enough into cloud security measures because (a) they don’t understand the threats they face, and (b) they aren’t quite sure what to do. With that being said, here are some practical tips you can use to keep your business safe in the cloud era. When it comes to using SaaS solutions, your first goal should be to do your due diligence on software providers. While a lot depends on how you use their software, the vendor plays a major part in security and platform integrity. In addition to reading reviews and asking around for recommendations, you should carefully study the security features that come with a particular piece of software. Are there features like multi-factor authentication, data encryption, and data backup in place? You need all of these in order to stay safe. Security concerns aren’t something that you can just will away by ignoring them. If you don’t have the internal capabilities to evaluate and confront security risk, make sure you’re working with groups that can help you. It’s impossible to safeguard your company against every possible threat or be prepared for each unique situation that you face, but a cloud computing policy will go a long way towards preparing your organisation to handle issues. If you don’t already have a policy in place, now’s the time to develop one. It should specify your expectations for how employees use different devices and software, as well as how the company plans on responding to threats. This little exercise will ensure your company is better prepared. When most businesses think about cloud security, they assume that the majority of attacks come from outside the walls of their company – but the data suggest otherwise. According to the 2015 Data Breach Industry Forecast, employees cause nearly 60 per cent of all security incidents. Some of these are intentional, but the majority of them are unintentional. It’s definitely smart to protect yourself from external threats, but don’t spend so much time building walls that you forget to deal with what’s going on inside. Your cloud computing strategy should clearly confront this issue. Good access control should be one of your major priorities. If you can lock down passwords and keep unwanted threats out, you’ll greatly diminish your risk of being compromised. Only give access to people who need access and encourage employees to frequently reset passwords and use complex character strings. As mentioned, multi-factor authentication is also smart and should be used whenever possible. This isn’t a foolproof system, but it at least cuts down on remote attacks. Should someone or something get past your security measures and find your data, you want to make sure that it’s unusable. This is where data encryption comes into play. When you encrypt your data, you’re essentially adding an additional layer of security where the individual accessing the data needs another passcode in order to make the data readable. This is a key piece to the security puzzle. The cloud security market is evolving quickly – and it has to in order to keep up with the different hacking strategies that are being developed. If you want to protect your business and be a responsible cloud user, it’s imperative that you stay on top of these new trends and keep an eye out for new “best practices.” By staying up to date, you’re much less likely to become a victim. If you ask most organisations about cloud security, they’ll give you some generic answer that makes you feel like they’re committed to staying safe. However, when you really drill down and look at these security strategies, it becomes apparent that most companies are only doing surface level things. Don’t be one of those companies. Make cloud security a bigger priority in your organisation and you’ll avoid much of the trouble that other businesses are going through on a yearly basis.